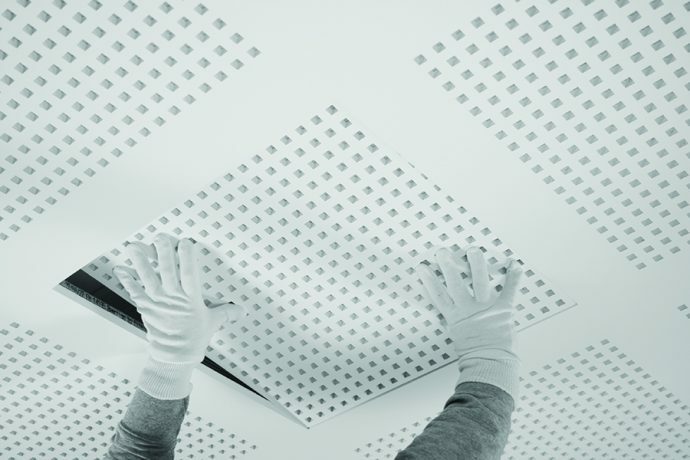 Protone access panels are available in each of the three Potter Interior Systems perforated plasterboard patterns. 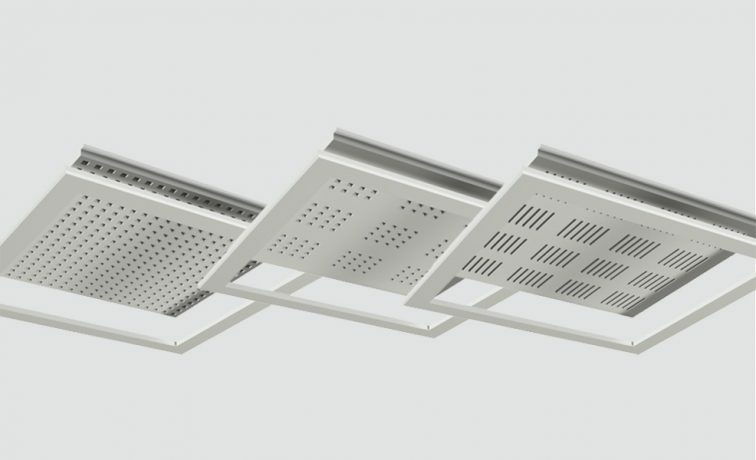 Each access panel is fully integrated in the ceiling surface to allow for quick and easy access to technical installations within the ceiling cavity. 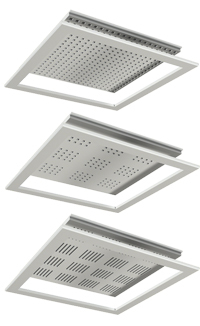 Access panels consist of a plasterboard frame that is easily set into the ceiling and a hatch piece with a matching perforation pattern that fits neatly into the frame. These panels provide access to the ceiling cavity while ensuring a seamless look across the surface. Both hatch and frame are pure gypsum products and consist solely of recycled materials. Protone Access panels are not recommended for installation in areas subject to greater than 70% relative humidity including indoor swimming pools and bathrooms.